Messer carries a thermometer to check the water temperature. He favors the magic range of 52-55 degrees for good trout action. Also the insect activity usually peaks at the warmest times of the day. Another factor adds to the appeal of winter fishing in Bryson City and that’s the 2.2 miles of the Tuckasegee River designated Delayed Harvest Waters by the NC Wildlife Resources Commission. 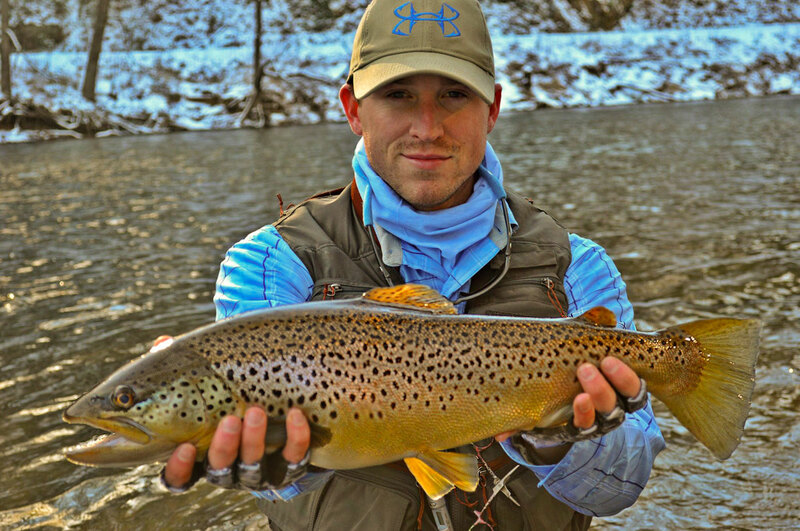 To encourage trout growth, fishing is limited to catch and release from October to June. This ensures a larger population of larger trout for the winter fisherman. For more information about fishing in the Smokies visit GreatSmokies.com/fishing and GreatSmokiesFishing.com. And check out our Great Smokies Fishing pages on Facebook and Instagram.